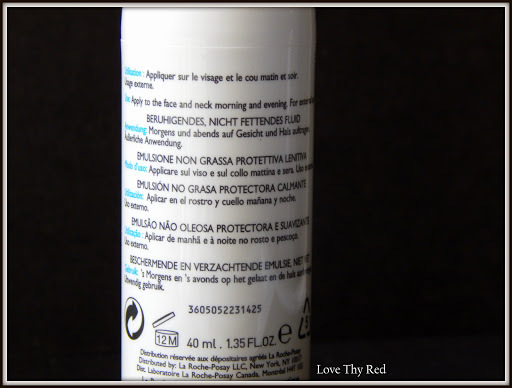 Last year, I had reviewed the La Roche Posay TOLERIANE Riche Soothing Protective Cream and I had all great things to say about the product . Well, this time, I’m back with a review on the lighter version of the same formula which is my skin savior for the summer and on-and-off humid weather. This one is called La Roche Posay TOLERIANE FLUIDE Soothing Protective Non-Oily Emulsion. The La Roche Posay Toleriane Fluid is basically a very light moisturizer, with a consistency that seems to be a hybrid between a lotion and a serum. I need just about one pump of the product for my face and neck. The formula is simply amazing since though it is lightweight, but it provides adequate moisture to my dry and dehydrated skin at the end of the day. The product spreads easily and gets absorbed super fast. But more than that part, I have to tell you why and when I particularly use this product? 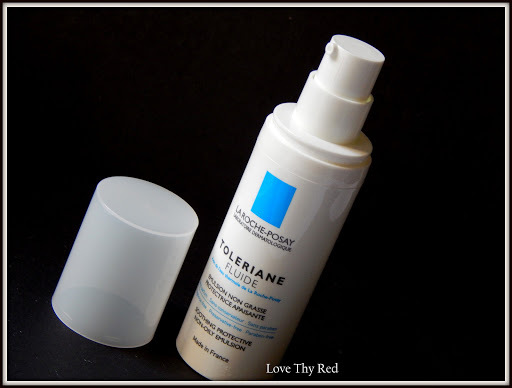 The La Roche Posay Toleriane FLUIDE is my emergency skincare! Like those sudden rashes due to dust on a day when there’s a duststorm, or that sudden change in humidity which wreaks havoc on my skin or that scorching summer day when I go out with colleagues for lunch and come back with irritated skin.. I have extremely sensitive skin that way, and on days like that I don’t wish to use any of my regular skincare so I take a break and pick this simple bottle which I know will save my skin and restore it back to normal. Ever since I tried the TOLERIANE Riche, I knew I would be hooked to this formula and smitten I am. The TOLERIANE TWINS (Riche and Fluide) have found a permanent place in my skincare and while the Riche version is my humble companion for wintery months, the Fluide is my buddy for hot summers. I can’t rave enough about these two products and depending upon the hydration levels of your skin, you may choose either of the two, either as a permanent skincare product or as an emergency helpline like I do. La Roche Posay TOLERIANE Fluide not only gives my normal skin enough hydration that it needs, but also soothes irritated skin and helps it to heal faster without making me reach for blotting sheets ever. Simple and minimal ingredients to help your skin bounce back to normal after a bout of fight-the-dirt event. I LOVE TOLERIANE FLUIDE and can’t recommend it enough!